I undertake selected commissions for both private and corporate patrons. If you need a painting of a specific size/format or flower it may be possible to commission me. I have created paintings for a specific wall or to celebrate a person, place or milestone event. Legacies are an honour. Special birthdays and wedding bouquets are particular joyful. 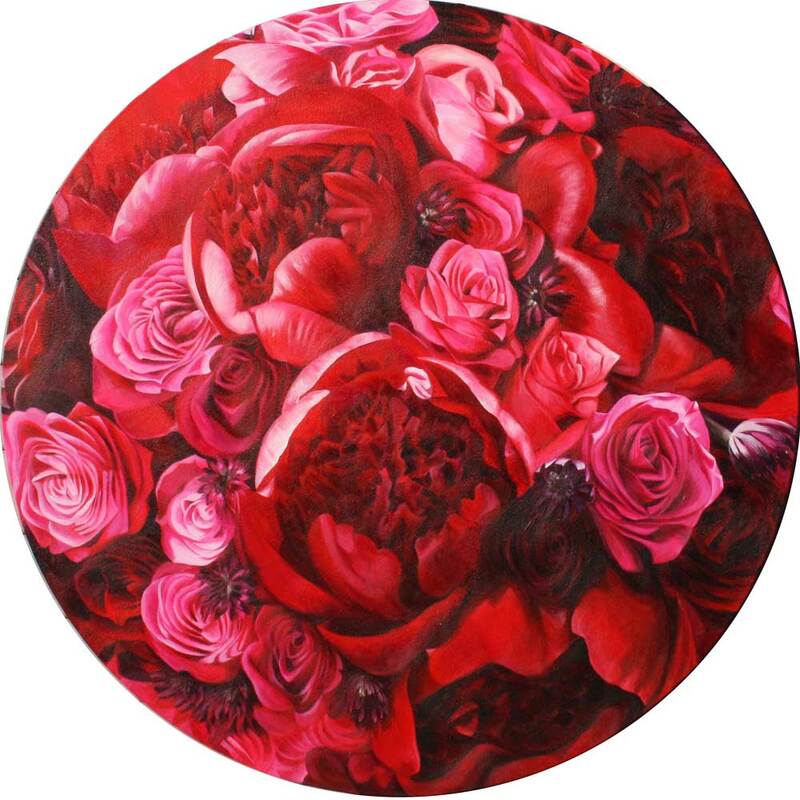 This tondo (of 100cm diameter) was inspired by a wedding bouquet. I received photos of the actual bouquet and then sourced all the flower varieties to paint from life. It was paid for by the couple and with a voucher bought by a group of friends. 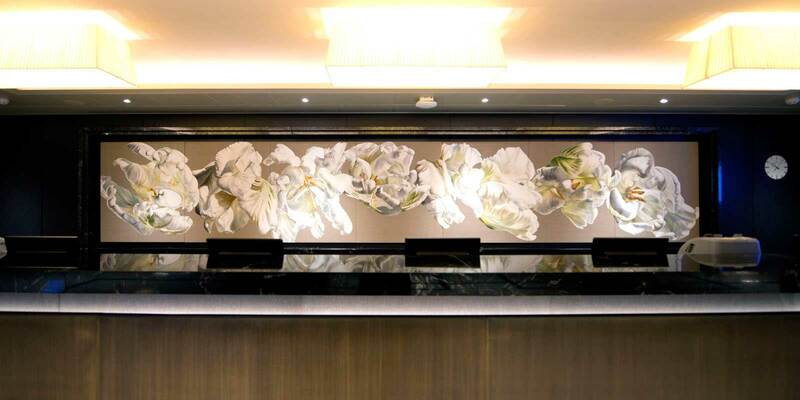 Corporate projects have included the seven-metre long painting behind a hotel reception desk seen at the top of this page. A commission for a company boardroom started with the Chairman selecting ‘Cumulus Hydrangeas’ from my current collection. I then added two further canvasses to give a finished painting of the scale required by the long, thin room. It is easy! Just ask.